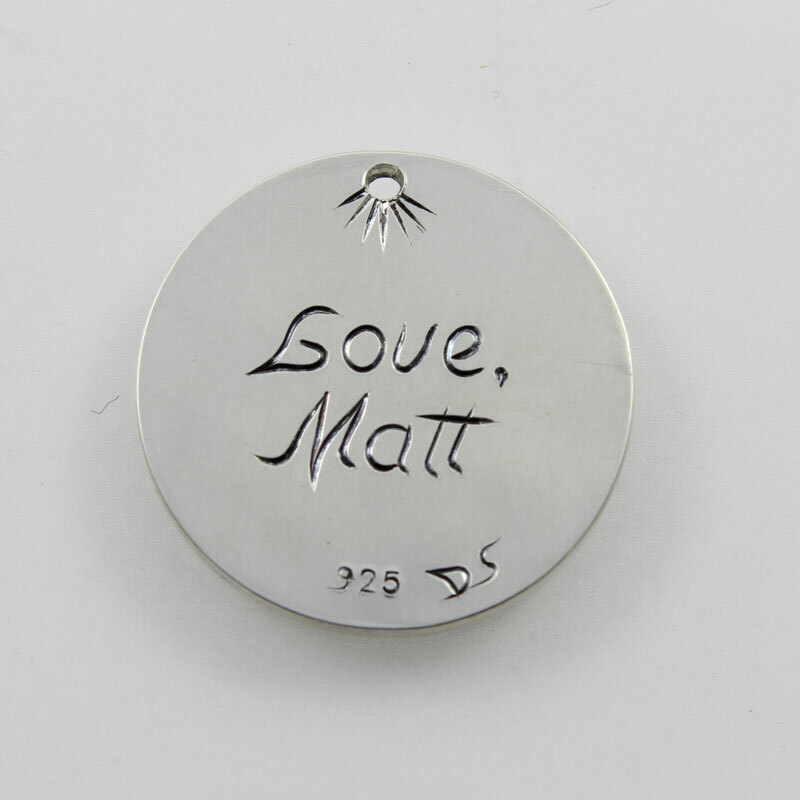 This pendant was engraved for a nice young man in Maryland who wanted something special for his wife on Valentines Day. 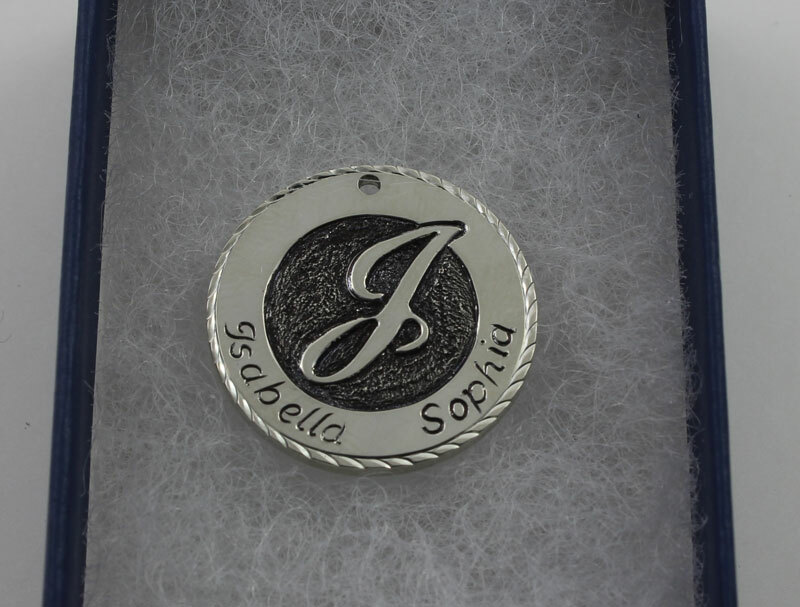 His wife’s initial “J” is engraved in deep relief fashion and surrounded by the name of his two little girls! He told me his wife loves Fords so I used the “Ford Font” for the letter J. Matt tells me his wife loves it. Good job Matt!